Last edited by Chad; 10-15-18 at 07:06 PM. 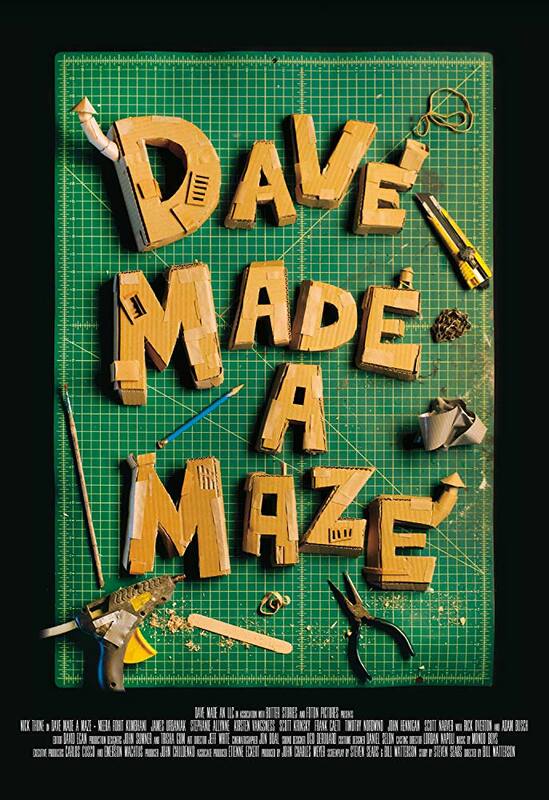 I enjoyed Dave Made a Maze last year and it lives up on the second viewing. The idea of a 'god' who gets lost in his creation is ripe for interpretation and it's a potentially heavy metaphor for how we construct our own reality but DMaM never gets preachy or too metaphysical with it, just leaving the premise at our feet and getting 'wtf' weird with it. Like the scene where they are questioning Annie, who is great at selling the wife that doesn't understand, about gender stereotypes and she summarizes the nihilism of DMaM with 'I really don't care' - it's just here to entertain. Then the death starts, and the 'is it real?' 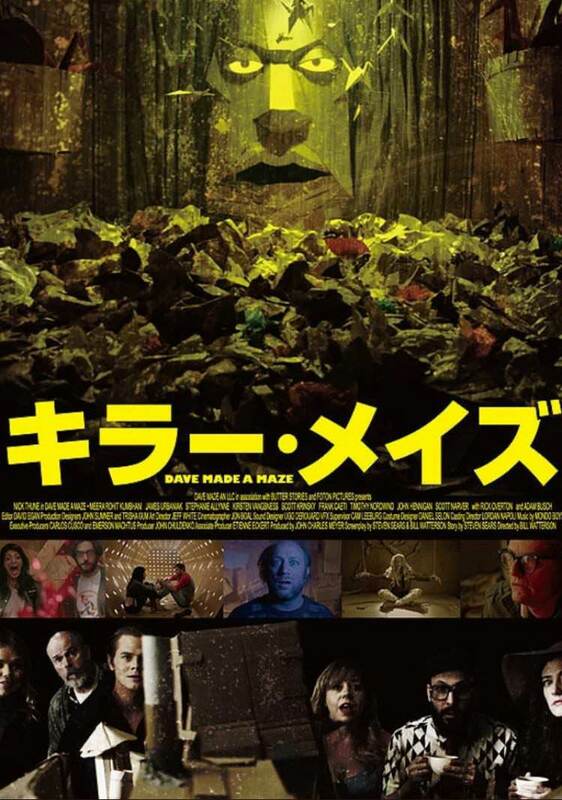 question comes up, while subtle this might be the most accessible but deep movie in recent memory - and they're cutting through the walls of it (the maze being all of reality, nothing of it, or something in the middle) to find a leering eye. The imagery is deliciously cartoonish, especially when they turn into literal cartoons, and the practical cardboard effects everywhere are top notch. I love the confetti / silly string blood splatter, that alone could have been the film and it would have been worth seeing. It nicely captures angst of modern life, of just wanting to create something and not be tied in to internet culture. The maze inside the maze is another fun bit. 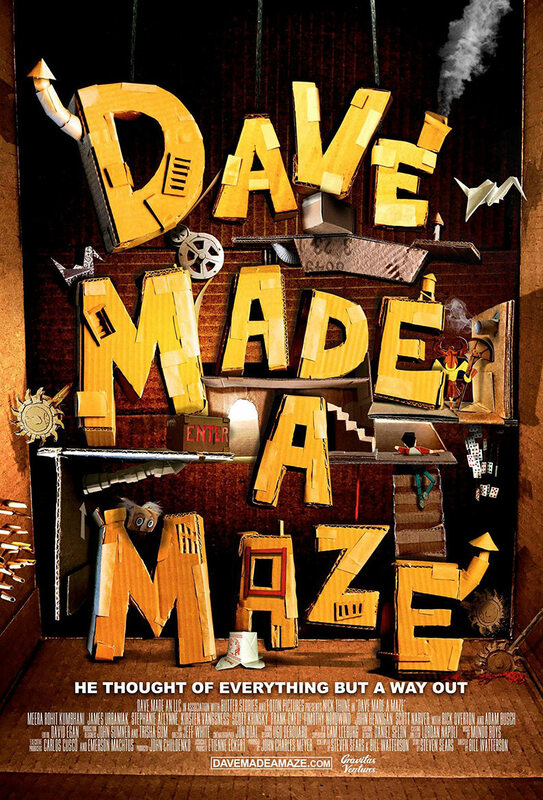 Instead of trying to defeat the maze we've got to complete the maze. Last edited by Undeadcow; 10-24-18 at 10:44 PM. Wow. This is so incredibly creative and original. Everything about it was fresh and clever. Loved all the paper constructions inside the maze. The set design was amazing. And the minotaur being freed at the end was perfect. The actors were wonderful and the humor very deadpan. All the stars for this one. ETA: Reading over UndeadCow's comments -- yes, at the part where they turned into the paper bag puppets I laughed so hard! It is a parable for our times, I guess, just trying to find fulfilling work in life and "make something" that matters you can get so lost. Last edited by jholmes; 11-01-18 at 09:12 AM. That was a fun watch! Take part Gilliam and part Kaufman, throw in millennials and viola. It sort of runs out of steam for me, or just doesn’t quite fully connect to make it a 8 or 9/10 for me (and only about a dozen films in history hit 10/10). Definitely plan to watch it again and probably even buy the disc, and can see it reaching great status, or perhaps a short that just didn’t quite hit on all cyclinders when expanded. Maybe if I liked the characters -- the lead actress was good -- I might have enjoyed this more. 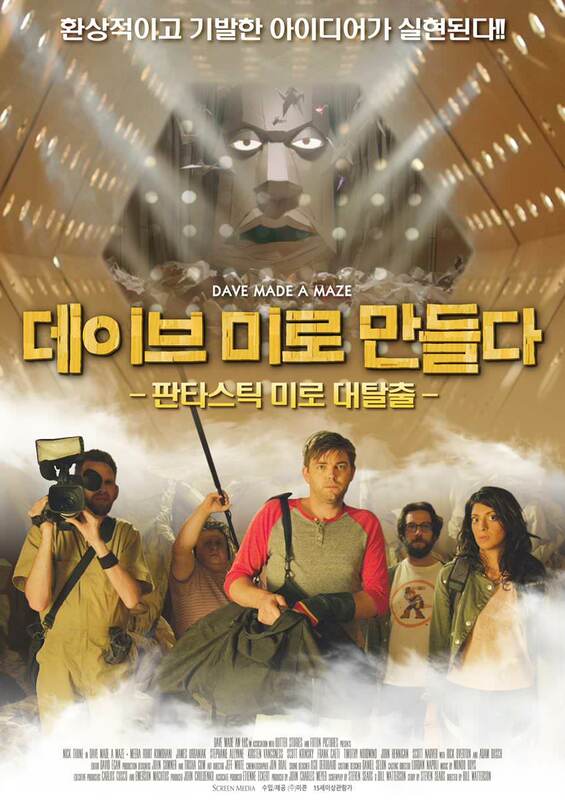 Maze conception was inspired though. This was my favorite FTV of the Challenge this year. I guess that maybe I was burned out on what turned out to be mostly mediocre horror films this year, so it was a delightful surprise. I laughed out loud several times, and I loved the camera guy character's final line and the weird beard greeting at the beginning. Is this available on Blu-ray? I can't find it anywhere if it is. Amazon has it in all formats. $25 in BD is too rich for my blood for anything. ^Thanks, Trevor! I don't know how I missed that...other than it was 2:00 AM.